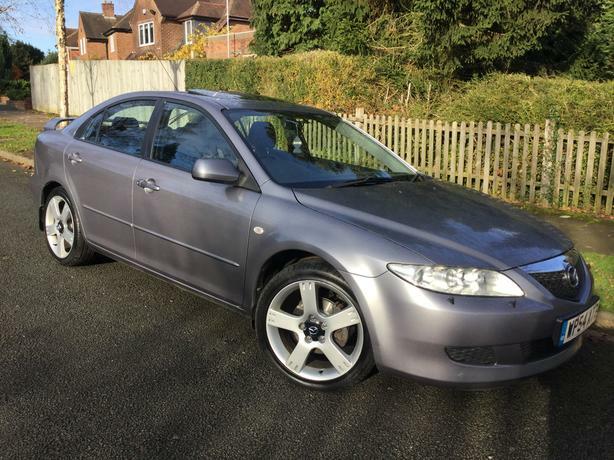  Log In needed £1,495 · Mazda 6 2.3i Zugara hatch - only 82k with FMDSH & long MOT ! Mazda 6 2.3i Zugara hatch - only 82k with FMDSH & long MOT ! Only 82,000 miles - well below average for the year ! Factory tilt & slide glass sunroof - very rare ! & FMDSH & long MOT at this money ! Looks & drives superbly - no knocks or usual rattles ! As the saying goes - Champagne motoring for lemonade money !! Very rare limited edition Zugara model - one of only 200 hatchbacks ever made !! Try & find another one - might be collectable one day ! Comes with original sales invoice & brochures too ! Very rare car of this age with such pedigree !